In a small city, in the coastal region of New Orange, unrest surrounding recent protests has grown exponentially out of hand. Marchers took to the streets two days ago, against the current monarch and the head of state, with banners and songs being chanted accordingly. The protesters were relatively peaceful, until it was hijacked by a small anti-monarchy milita group named "La république pour une" (LRPN), to which violence has took hold. The local government called in several emergency powers, granting them arrest powers, curfew powers, and the ability to disperse a crowd. Since then, the riots have calmed, but the LRPN has said they are not finished, and it is unknown whenever the republicanism shall spread. 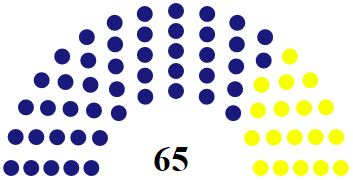 After the end of the primeministre Jauffret's term, elections were held in February 4253. It shall be noted that turnout was at 76%. Last edited by Papa_Meme on Fri Aug 11, 2017 3:28 am, edited 2 times in total. BREAKING: Les Conservatuers collapse, early election called. 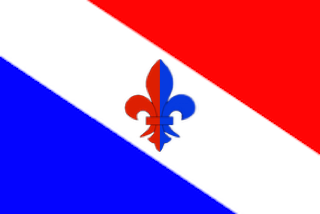 After a series of internal disputes following LC's loss of government and subsequent leadership election, party leader Nicolas Jauffret in a brief statement announced that he would be resigning before he was supposed to due to the stress of being leader. 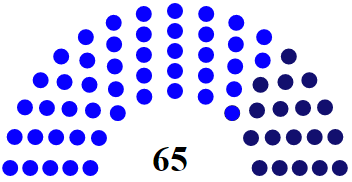 Following this the party attempted to put together an interim leadership, but conflicts between the more moderate and hard right elements of the party lead to many LC representatives renouncing their titles, or leaving parliament all together. 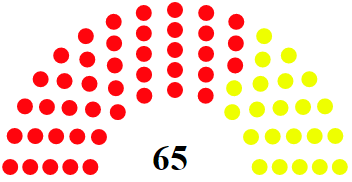 After one week of revolts and resignations the party collapsed entirely. This parlimentary chaos as a caucus with 170 members collapsed, led LOP and FG leaders to call an early election, citing the instability and the need for an electoral mandate. Who will fill the void left by LC? who will win the early election? Last edited by Papa_Meme on Fri Aug 11, 2017 5:00 am, edited 1 time in total. After the collapse of Les Conservatuers, early elections were called in November 4254. It shall be noted that turnout was at 85%. Bendiri State Supreme Court Justice, Solenne Auberjonois, 39, Killed in Car Accident. Today, in the city of Bery, Bendiri, State Supreme Court Justice, Solenne Auberjonois, died in a high speed car accident in the city's main intersection. She was driving home from work, when a truck, going 20 KM/H over the speed limit, slammed into the side of her car, killing her instantly. The driver has been charged with negligence leading to death and speeding. Auberjonois was a mother of 2 and was appointed justice by the now defunct Les Conservatuers in 4249. It will be the duty of the FG state government of Bendiri to appoint a new Justice. Vallee Zanyal State Supreme Court Justice, Solenne Baschet, 74, Retires for Health Reasons. Today, State Supreme Court Justice, Solenne Baschet, announced that she would be retiring. Baschet said that she was "proud" to have served as a justice but that she had to retire in order to fight her breast cancer. Baschet was appointed justice by the now defunct Les Conservatuers in 4249. It will be the duty of the NCP state government of Vallee Zanyal to appoint a new Justice. Un nouveau parti de droite a été créé au Royaume-Uni d'Aldurie. Appelé «Parti Conservateur Hosien», le nouveau parti envisage d'attirer l'attention nationale et fera campagne sur un billet plus droit que ses collègues en Aldurie. Le parti dit qu'il représente le conservatisme social, le capitalisme, le marché libre, la démocratie hosien et le conservatisme généralisé parallèlement à d'autres points de vue semblables. L'Aldurie n'a actuellement pas une droite majeure, par opposition au centre droit, au parti, du moins pas économiquement. Aucune partie principale n'est actuellement considérée comme «laissez-faire». Charlene Massé, un politicien mineur d'un pays rural du pays, dit qu'il s'agit d'une lacune sur le marché pour son propre nouveau parti. Massé s'est dit inspiré de voir les gens «non représentés à droite» et de croire qu'ils méritait un parti politique fortement conservateur à la fois sur le plan social et économique, qui «reposait sur le motif de la démocratie hosien et d'autres principes conservateurs et traditionnels que nous, à droite, pouvons nous retrouver». Bien qu'il soit actuellement non représenté à la Chambre des Communes, le parti de Massé espère recueillir suffisamment de visibilité à temps pour les prochaines élections générales dans quelques années afin de gagner un nombre assez important de sièges pour commencer à faire une vraie différence en Aldurie. 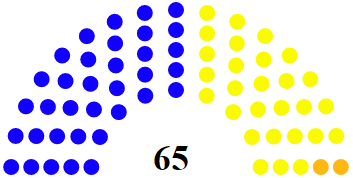 Alors que Massé nie que le parti ait quelque chose à voir avec sa propre quête de pouvoir, il est très clair que Massé serait en position de pouvoir si le parti réussit bien. Pour le moment, cependant, le parti se concentrera sur la reconnaissance. A new right-wing party has been established in the United Kingdom of Alduria. Called the 'Parti Conservateur Hosien', the new party plans to take national attention and will be campaigning on a more right-wing ticket than its fellow parties in Alduria. The party says that it stands for social conservatism, capitalism, free-market, hosian democracy and all-round conservatism alongside other similar viewpoints. Alduria does not currently have a major right-wing, as opposed to centre-right, party, at least not economically. No main party is currently considered 'laissez-faire'. Charlène Massé, a minor politician from a rural par of the country, says that this is a gap in the market for her own new party to squeeze in. Massé said she was inspired by seeing people 'unrepresented on the right' and believing that they deserved a strongly conservative political party both socially and economically, which 'stood on the grounds of Hosian Democracy and other conservative and traditional principles we on the right can get behind'. 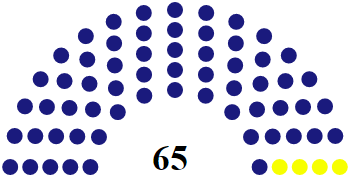 While currently unrepresented in the House of Common, Massé's party hopes to garner enough visibility in time for the upcoming general election in a few years in order to win a large enough number of seats to start 'making a real difference in Alduria'. While Massé denies that the party has anything to do with her own quest for power, it's very clear that Massé would get into a position of power if the party did well. For now, though, the party will 'concentrate on getting recognition'. Le PCH a fait ses premiers pas dans le monde politique avec deux projets de loi à la maison des communes plus tôt cette année. Bien que le projet de loi sur la réforme économique ait été adopté de façon restrictive, le projet de loi sur les libertés civiles a été voté par les partis de gauche dans le gouvernement. Le projet de loi sur les libertés civiles est particulièrement controversé, car il propose que l'adoption ne soit que légale pour les couples hétérosexuels, tout en interdisant les mariages de l'étranger qui sont discordants avec la politique de mariage d'Aldur. Cela comprend des mariages incestueux et arrangés. Les critiques du projet de loi l'ont qualifié de «dégoûtant» et «en arrière», disant qu'il faudrait l'Aldurie de retour un siècle. Le chef du PCH, Charlène Massé, a défendu le projet de loi en disant: «Donner aux enfants une maison stable est en arrière, mais permettre des mariages incestueux et arrangés de venir sur nos rives est progressif? C'est ridicule» et plus tard en ajoutant «L'établissement libéral pensent que les mariages arrangés sont progressifs, mais les maisons sécuritaires sont dégoûtantes. Très hypocrite.» Ces commentaires ont déjà fait ressortir son profil national, ce qui en fait une figure controversée. Le temps indiquera si ces stratégies et les politiques sociales de droite pousseront le parti à réussir lors des prochaines élections, ce qui pourrait être appelé n'importe quel jour avec la dissolution d'un grand parti récemment. La motion d'élection anticipée proposée par le Parti humain peut ou non passer. Plus tôt une élection a lieu, moins il y aura de PCH et donc moins de votes recevront. On ne s'attend pas à ce qu'ils gagnent actuellement des sièges, mais cela peut changer, les prochaines élections après que le projet de loi sur les libertés civiles soit vraiment démoli. The PCH has made its first steps into the political world with two bills put to the house of commons earlier this year. While the economic reform bill has been passed narrowly, the bill on civil liberties has been handily voted down by leftist parties in government. The bill on civil liberties is particularly controversial, as it proposes that adoption should only be legal for heterosexual couples, while banning marriages from abroad that are discrepant with Aldurian marriage policy. This would include incestuous and arranged marriages. Critics of the bill have called it 'disgusting' and 'backwards', saying it would take Alduria 'back a century'. PCH leader, Charlène Massé, defended the bill, saying: "Giving children a stable home is backwards, but allowing incestuous and arranged marriages to come to our shores is progressive? That's ridiculous." and later adding "The liberal establishment think arranged marriages are progressive, but safe homes are 'disgusting'. Very hypocritical." Those comments have already risen her national profile, making her a controversial figure already. Time will tell if these strategies and right-wing social policies will propel the party to success in the next elections, which could be called any day with the dissolution of a major party recently. 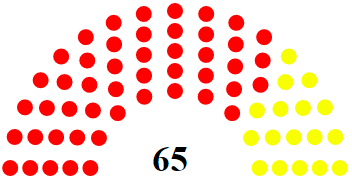 The early election motion proposed by the Human Party may or may not pass. The sooner an election takes place, the less visilbe the PCH is and thus the fewer votes they will get. They are not expected to win any seats currently, but that may change come the next election after the civil liberties bill truly is killed-off. Above: The leader of the Radical Hosian Party, far-right former TV presenter Anne-Sophie Édouard. In an unexpected change in Aldurian politics, a new party has been formed called the Radical Hosian Party. It states its objectives as 'making Alduria an honest, Hosian nation' and 'centring life on the family and the protection of the traditional family'. This means enacting policies of great radicalism: banning abortion, banning euthanasia, making religion mandatory and making religion a key part of Aldurian life - from education, to healthcare, to science, to administration. Anything you can think off, the PRH will put in religion. Their leader, Anne-Sophie Édouard, was for many years a television presenter and a public figure. She hosted all sorts of shows, and was a household name. She was, however, released from her position after she was discovered to have made controversial remarks about Majatrans, and 'their satanic ways'. Her ideas were in fact shared by many on the far-right and the most religious elements of society, whom she is trying to appeal to in a bit to become President in two years. 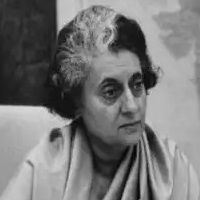 Her party is unlikely to succeed due to its radicalism. Alduria does indeed lack a truly religion-based party, though the Nationalist Party certainly are right-wing. The rift in Aldurian politics could indeed lead to such a grave situation as an extremist like Édouard taking over, though she's a long shot as it is now. The PRH has currently proposed several reforms, which it calls its platform. This includes proposals to ban all cloning and stem cell research, as well as the previously mentioned attempts to ban abortion and euthanasia. There is also a fair amount of general religious madness. Béry - Despite winning only 51 seats in the national legislature and losing the presidential election RP supporters celebrated their first electoral wins. Less than a year ago here in Béry - my hometown - the Reform Party was founded. But it's not only a party that started here, because we are more than that - we are a movement. We are a movement of common, every-day people who joined forces to take back our country. Together we started this journey to change Alduria, to bring back democracy and leave the dark times of fascism behind us. Today I can say that we have made a huge step forward. 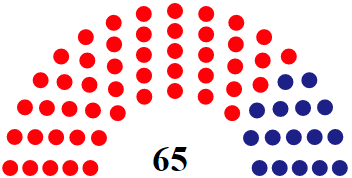 Democratic parties from all sides of the political spectrum have gained a 2/3rds majority in the legislature and hopefully we will be free again soon. And it's all thanks to people like you who made this happen. But make no mistake, this journey, our journey, is far from over. In fact it's only beginning. Because in times like these we have a chance to shape our country for our children, grandchildren and future generations to come. To make the best of it. But to make sure that that happens we need to rally together. That's why we need your support more than ever. I can promise you that I will do my best to ensure a free, democratic Alduria for all.